Ahead of the European elections in May, Euronews teams are taking a road trip across the continent to listen to people’s hopes and demands. 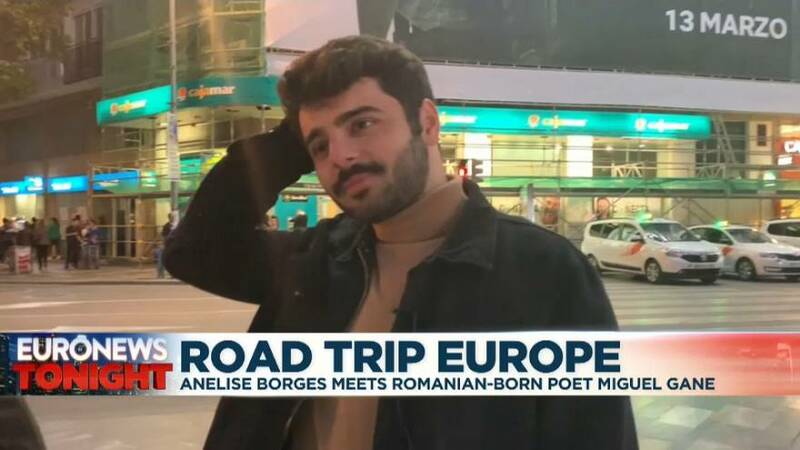 In Spain’s Murcia, in the southeast or the country, 25-year-old literary sensation Miguel Gane spoke to Euronews' Anelise Borges about how young people see the present – and, perhaps more importantly, the future – of Europe. Miguel Gane is originally from in Leresti, Romania, in the Carpathian Mountains. “I was born in one land and grew up in another. What one land - Spain - gave me, my land - Romania - would have never been able to give. Never,” he said.